Did you know that you can self-refer straight through to our maternity unit instead of going through your GP? Read more information here. Please click here for information on NHS Health checks Tel: 0151 934 2352 to make an appointment. The most important thing to bear in mind about travel vaccinations is the importance of forward planning. The advice on NHS Choices is that you should contact your GP at least eight weeks before your travel date. We can usually accommodate patients if we have your completed travel questionnaires within five weeks of your travel date. Download our travel questionnaire here. Do not use this form if your travel date is less than 5 weeks away. After you submit your form a receptionist will contact you within two working days to arrange a convenient time for an appointment. Tetanus, diphtheria and polio as given in the combined Td/IPV vaccine. Please note that Hepatitis B vaccination for occupational health purposes is not provided free of charge on the NHS and we don’t provide it privately to patients. We don’t provide any other travel vaccinations privately. We follow the Royal College of Nursing competency framework for travel health medicine. This stipulates a pre-travel risk assessment which includes such things as destination, duration and type of trip, previous medical history and immunisation status. We have to allocate an appropriate amount of time for the nurse to prepare this assessment before any appointment. Our Receptionists are not trained to offer any advice to patients on whether vaccinations are required for a particular destination. We are unable to allocate any nursing time to a pre-travel risk assessment until we have received your completed and signed travel questionnaire forms. Our travel health forms are available in downloadable form on our website or from Reception. The advice on NHS Choices is that you should contact your GP at least eight weeks before your travel date to allow enough time ensure the best protection from the very beginning of your trip. Some vaccinations need to be given well in advance to allow your body time to develop immunity. Some also involve multiple doses spread over several weeks. We will usually try to be flexible and accommodate patients contacting us up to five weeks before their travel date but this is often constrained by a lack of appropriate appointments at such short notice. We have three nurses who conduct travel vaccination appointments across the working week including some evening appointments. We release new appointments with our nurses approximately four weeks ahead but these get booked up soon after they are released and it is usually quite difficult to book appointments in the next one – two weeks. As people frequently travel as part of a family group we often have to find multiple appointments which places further constraints on our ability to schedule timely treatment. If your travel date is less than 5 weeks away and we can’t provide suitable appointments there are private travel clinics in the Southport area but these do , of course, charge a fee. Please telephone or call in for results of any test you have had. Many surgeries limit the time of day they release test results but we are happy to provide you with results any time you call. For your convenience however you would be advised to avoid calling before 9.30am simply because the phone lines are so busy. 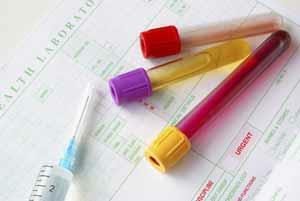 In general the results of blood tests and X-rays etc. can take 7 - 10 days after the date of the test before the practice receives the result. Over 2500 of our patients already enjoy the ease and simplicity of accessing their medical record online for booking appointments and ordering medication. From April 1st all patients will, if they wish , have access to their detailed coded medical record on-line. There are many reasons why a patient might want to have this level of access; self-management of long term conditions or to show to a doctor if you fall ill while away from your home. However, it’s not without its risks either. If your log on credentials are compromised then someone else might be able to gain access to very personal information about you. We have produced a patient information leaflet that explains more about on-line access and you can pick up a copy from Reception when you next visit the surgery or read it here. At Ainsdale Medical Centre we are helping our patients to make the right choice around on-line access so you get the access that best suits your needs. We will be offering three different levels of service. Transactional Services – Book appointments, Order repeat medication or update your personal details if you change address or phone number. We strongly recommend that all patients with on-line access use this service for their convenience. Print Application Form A. Summary Care Record – List of medications, allergies and adverse reactions. This is the level of information that a doctor in an emergency care setting would be able to see ( with your consent) if their organization is part of the national Summary Care Record scheme. Print Application Form B. Access to detailed coded record . All elements of the care record apart from letters ( inbound and outbound correspondence and out). Print Application Form F.
What do we mean when we refer to ‘coded’ record? 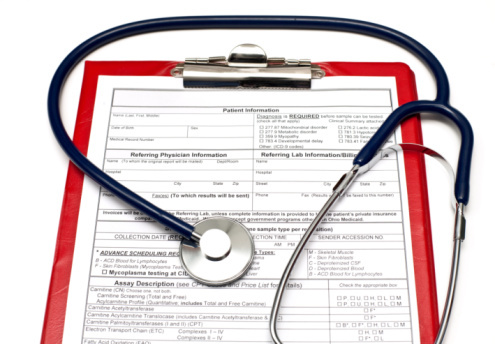 `Coded form‘ means that you can see the standard codes ( in words not in coded numbers) added to your record to identify things such as diagnoses, conditions, symptoms, test results, treatments, demographic information about you and administation flags that help us manage your healthcare. You wont see any of the free-text added by the clinician during a consultation but you will see any comments the doctor adds to your test results to help you or our receptionists interpret the detailed statistical results. Read the information leaflet and decide what level of access suits your needs. Print out and complete the appropriate application form for the level of access you want to apply for. Bring the completed application form to the Reception desk with your ID. Please note that two forms of ID are required to register for Patient Access (one with your photograph on and one with your current address). It will take us about five minutes to transact your application. Your sensitive personal data is of course very private to you so we take the validation process (see below) very seriously. Please be patient with the Reception staff while they follow the required process and answer the questions that they are obliged to ask you during the registration process. When will my access be ‘live’? If you apply for either of the first two options your user permissions will be updated ‘there-and-then’ and as soon as you log on you will be able to use Patient Access in the way you have requested. If however you are applying for full detailed coded access then it works slightly differently. Therefore if a patient applies for full detailed coded record access then your GP will need to review your entire medical record which can obviously cover many many years. The doctors will naturally have to prioritise patient care and therefore we are advising patients that it coudl take as long as four to six weeks to process these applications. If you are a new user of Patient Access applying for full detailed coded access then we will give you Summary Care record access straight away so you can benefit from the convenience of booking appointments and ordering repeat medication. When the GP Has reviewed your record we will simply add the extra permissions and you will see them next time you log on. If the doctor, under his contractual duty, decides to decline your application then we will send you a letter to let you know. Our primary aim in validating identity is to make sure that the person standing at the Reception desk is the subject of the medical record. We work in accordance with the Cabinet Office Good Practice Guide No 45 on Identity Proofing and Verification of an Individual and the NHS England Good Practice Guidance on Identity Verification. We require two forms of ID. One must have your photograph on it and the other your current address. Below is a reference guide to the types of ID that are acceptable. Any two of these documents are acceptable provided they meet the criteria above. Current driving licence – paper version UK/Isle of Man/Channel Islands and EU (full or provisional).